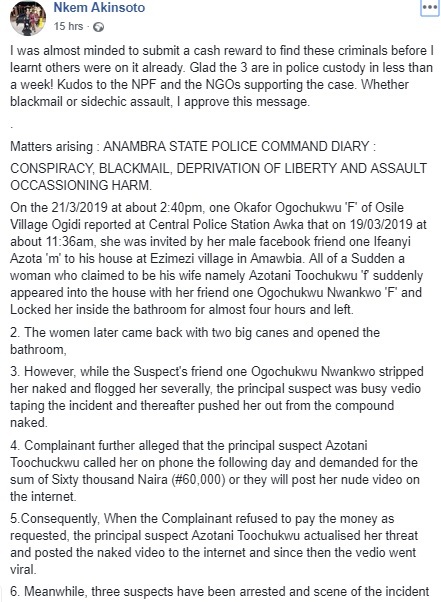 The woman who humiliated her sister’s husband’s side chic by stripping her naked and beating her up in public has explained the reason for her action. 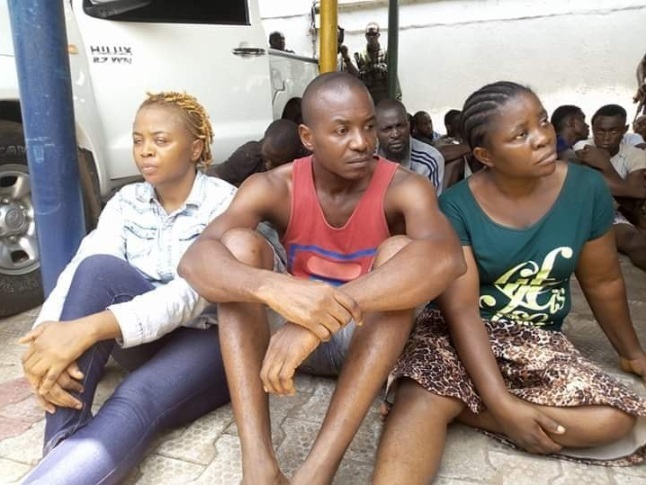 The woman, whose name was given as Ogochukwu Nwankwo, from Agulu, said she didn’t mean to beat the woman, from Nibo, but when she remembered the fact that her husband had taken her son from her to go and live with his girlfriend in Lagos, the trauma propelled her to pour out the anger on her sister’s husband’s side chic. She added that she doesn’t want momentary compensation and would rather her attackers are charged to court because they have destroyed her life by releasing the naked video of her being publicly humiliated. 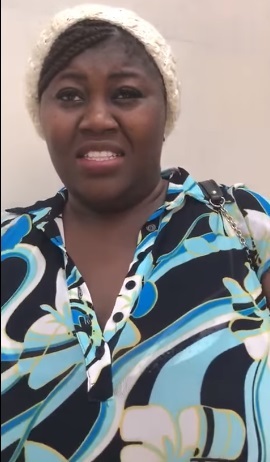 As for how the video was released online, some social media users alleged that it was the man and his family who tried to blackmail the sidechick. They allegedly asked her to pay some money, else the video will be released online. When she couldn’t pay, the video was made public.